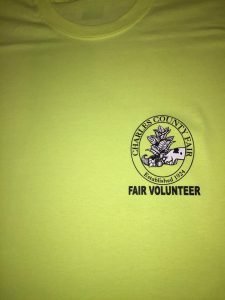 I was asked to make the tees for the Charles County Fair Volunteers. 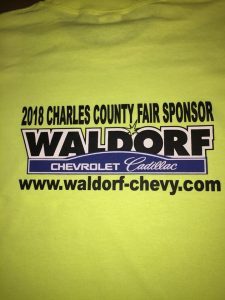 This year’s Fair is sponsored by Waldorf Chevy-Cadillac (www.waldorf-chevy.com) and will take place from Thursday, September 13 until Sunday, September 16, 2018. The volunteers will be very visible, as they wanted Safety Green tees. 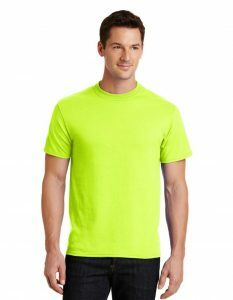 Some people will see these tees as Safety Green while others will see them as Neon Yellow. As a matter of fact, those two colors are actually the same color! If you want more information about the Fair, please visit https://www.charlescountyfair.com/.